We have found the perfect fishing spot through a friend of a friend. It’s on some private property about 10 minutes from our house and it’s wonderful. The pond has several shade trees and plenty of fish. 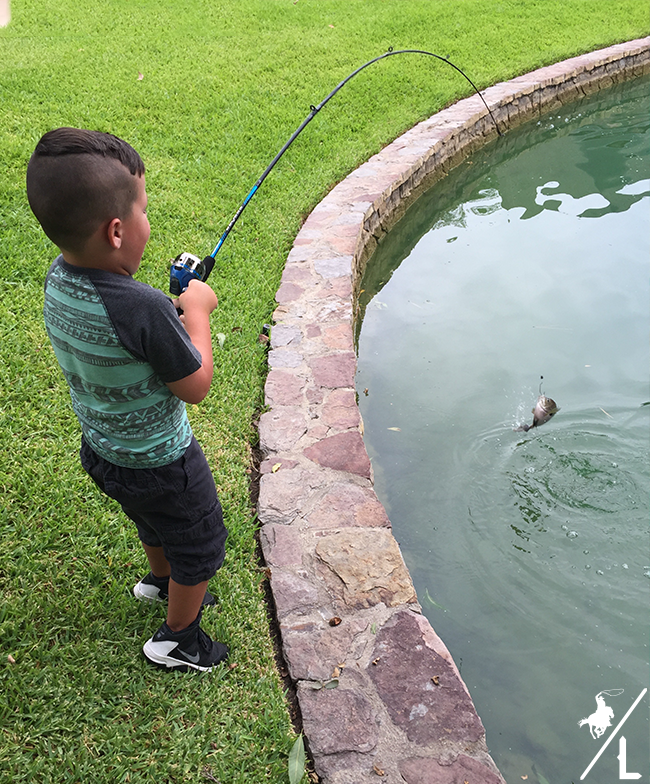 The first time we went out there, little man caught 11! 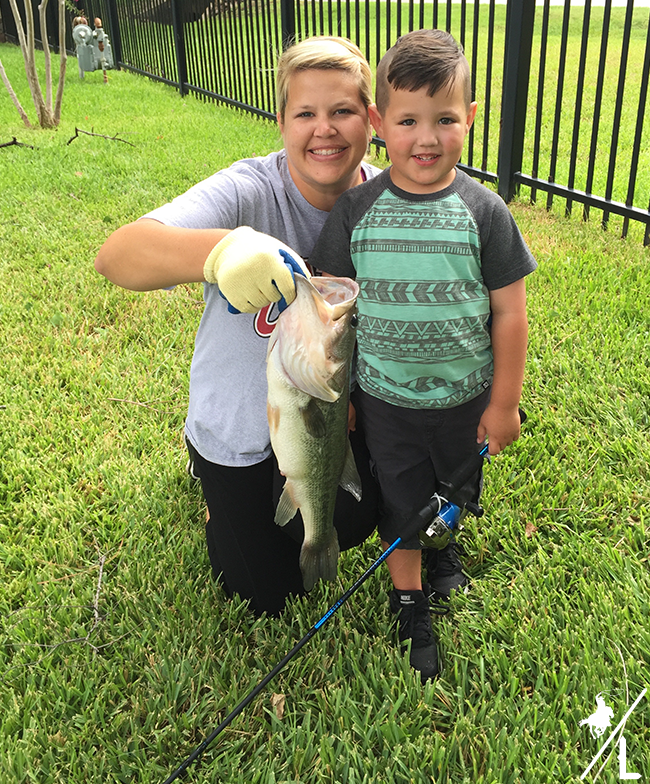 Fishing brings our son so much joy and to see him catch that many in one day was wonderful. 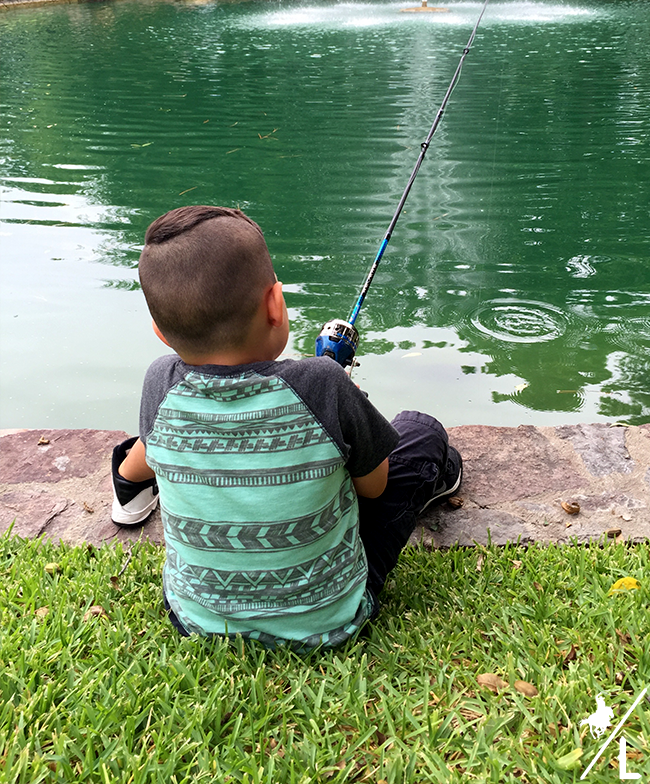 He found a great spot and cast after cast the fish kept biting. 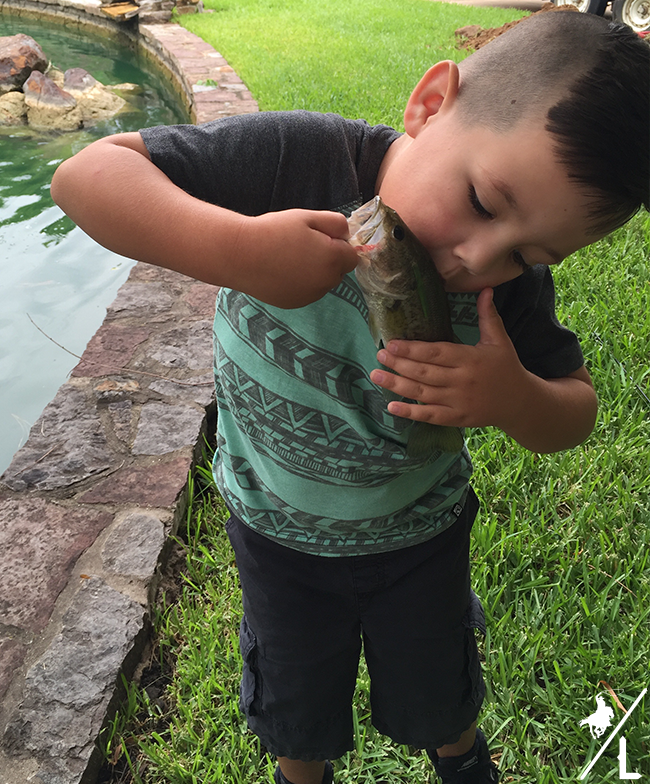 After each catch he gave it a little kiss and sent it back out to swim. I wish it was this easy to catch fish at every lake and pond. He takes after his daddy and I couldn’t be happier!